This Mother\'s Day, restaurants have come up with various options to spend priceless moments with your mom and shower her with a delightful bouquet of offerings. Mother's Day is the perfect occasion to show your mom how much you appreciate and value her. It is one such day when you get to say a 'Big Thank You' to your moms for all that they have done for you. It is a day when you want them to feel absolutely pampered and blessed. So this Mother's Day, restaurants have come up with various options to spend priceless moments with your mom and shower her with a delightful bouquet of offerings. Restaurants like The Westin Gurgaon, The Imperial, Fresco, Yautacha and Zamozza amongst others are bombarding customers with exciting offers to take their mother out on a food treat this special day. Guppy by Ai located at Lodhi Colony, Delhi, is offering a special summer menu, with gift vouchers and welcome cocktails to celebrate the day. FresCo at Janpath, CP and Ambience Mall, Delhi, has something to make your mother feel more special. FrescCo will be serving complementary assorted cupcakes (Strawberry/Lemon/ Chocolate/ Kiwi) with ‘Mom’ written over it. The Mother’s Day buffet menu is priced at Rs 1,500 plus taxes. The customers can also rejoice motherhood over a delightful gastronomic extravaganza at Rodeo, CP, Delhi, as Rodeo brings a delightful array of food, fun-filled ambience and excellent services to host a special lunch and dinner. Not only this, five-star hotels, are also not far away in welcoming the parent-sibling duo with luxurious offers. 1911, the all-day dining restaurant at The Imperial is offering a Brunch Buffet priced at Rs 3,200 plus taxes featuring Roasted vegetable lasagna with ricotta and olive quenelles, Marinated sole with grain mustard and chilli flakes and Zucchini and artichoke roulade with pesto rosso while you feel satiated that you are at the right place to make her feel spoilt for choice and the list goes on. The buffet would be thematically designed by the team of chefs with lots of candles for a feminine touch to celebrate the occasion and make all the mothers present, feel special. On the other hand, Westin Gurgaon has something more than the buffet, the special Sunday brunch with gourmet cuisines and unlimited champagne along with a 50 per cent discount on any one treatment of their choice at The Heavenly Spa by The Westin Gurgaon. Customers can also make their mother’s day special with everlasting memories with Le Meridien Delhi consisting of an elaborate brunch, a marvelous live band, an enthralling cooking competition and a sketch artist to engrave her on paper. And one can also indulge in the exquisite cuisine offered at Zamozza, World Kitchen & Bar by getting 50 per cent discount to make the day special for all the moms. It’s all about MOTHERS this Sunday at Le Meridien Gurgaon. As a tribute to mothers and in a bid to make the day unforgettable for them, Le Meridien Gurgaon has announced a fabulous Sunday Brunch dedicated to them. The sumptuous brunch will include a wide variety of cuisines, 200 dishes to be specific, along with beverages that will appeal to varied taste buds of mothers. The Sunday Brunch is priced at INR 2450 plus taxes but complimentary for all mothers. Apart from delectable Sunday Brunch, Le Meridien Gurgaon is also offering 20% discount on any spa or salon treatment at the Le Meridien Spa for mothers - making it the perfect way to get all mothers to relax and rejuvenate. The Spa offers a variety of therapies for de-stressing and pampering all senses from Swedish Massage, Balinese Massage, Sea Salt body scrubs and Facials to choose from. And to celebrate this special day, Brewbot located at Andheri, Mumbai, is serving a classic brunch with pop ups of baked goodies. Yauatcha Mumbai on Mother's Day Special is themed- actions speak louder than words- by serving their signature Yauatcha dishes such as a Chilean seabass dumpling, Baked Chilean seabass, Baked chicken puff, stir fry udon noodles, and raise a toast to the most amazing woman you know with cocktails such as Lalu, Lam peak Martini or Baron Vert. The restaurant will also make the occasion memorable with a special complementary box of Yauatcha’s handmade chocolates for every mom dining with us. This Mothers Day, Café Mangii gives its customer a chance to say Thank you to their mom in a very special way! Give her a break from the kitchen this Sunday and head to Café Mangii for a delicious family meal. This specially created 4 course set meal priced at Rs 699 plus taxes per person with Fresh Lime / Ice Tea and Rs 799 plus taxes per person with Sangria. That’s not all! For Moms accompanied with their family, Café Mangii entirely forgoes her meal cost. Likewise, food tech start-ups like TinyOwl is celebrating Mother’s Day with a twist- TinyOwl HomeMade. Whether you are living alone or simply want to give your mother a break from daily cooking, use TinyOwl HomeMade app to order home-cooked meals freshly cooked. iTraveller.com is celebrating Mother’s day by gifting a Holiday package by completely customising every aspect of their holidays, encourages the idea of doing something special for the lovely mothers. The customers can also get a cash back of Rs 1000, in addition up to 25 per cent discount on screen price for all the bookings done up to Mother's day. 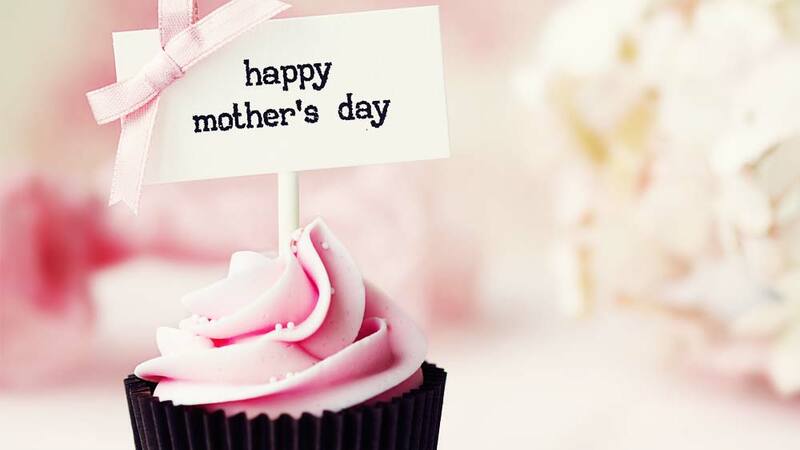 Thus, we can see that to celebrate this beautiful day, food and hotel industry has come up with lots of offers to cherish the everlasting memory with the love of your mother. Zomato reveals order-app service for food delivery..